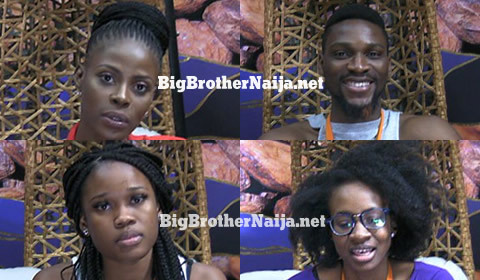 The much anticipated week 10 nominations of Big Brother Naija 2018 have been completed and here is what has taken place this evening. The live nominations then kicked off with Tobi, below is how each housemate has nominated this evening. 2. Lolu — 4 nominations. 3. Alex — 2 nominations. 4. Nina — 2 nominations. 5. Rico Swavey — 2 nominations. 6. Miracle — 1 nomination. 7. Anto — 1 nomination. Next story Day 64: Six Housemates Up For Possible Eviction, Who Are You Saving?